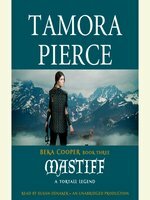 A New York Times bestseller from the fantasy author who is legend herself: TAMORA PIERCE. In the final book in the Beka Cooper Trilogy, Beka uses her unique magic and street smarts to crack the case that will change an empire! The more secret the Hunt, the more dangerous the mission. Sometimes a distraction arrives at just the right time. After suffering a terrible loss, Beka is grateful when Lord Gershom calls on her with a top-secret Hunt. He informs Beka that she and her scent hound, Achoo, are the best team for the job, but he won't tell her anything else. And when the pair is joined by a wide-eyed young mage who seems too green to be on a case of such importance, it becomes clear that threats lurk around every corner. Soon they are wading deep into a world of power, corruption, and betrayal that threatens the Tortall royal family. Beka must decide whom she can trust with her country's future . . . and her life. 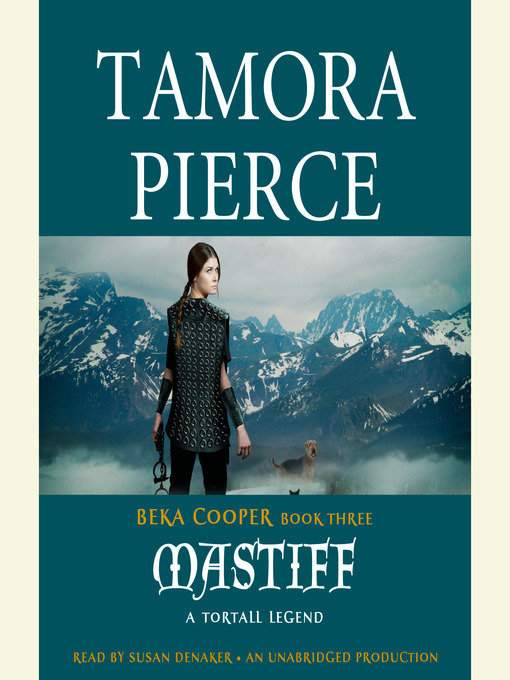 The Beka Cooper Trilogy introduces an amazing young woman who is the ancestor to one of Tamora Pierce's most popular characters: George Cooper. Here, Pierce gives fans exactly what they want—a smart, savvy heroine making a name for herself on the mean streets of Tortall's Lower City—while offering plenty to appeal to new readers as well! From the cover Wednesday, June 6, 249 H.E. The burying ground has no trees in it, no shade for us Lower City Dogs. Because most of us work in the dark, we want our bodies to lie in the sun. Stones decorate the graves, stones placed there for remembrance. Some graves are piled waist-­high with them, signs that the Dogs who lie beneath were loved by family and guards both. There were plenty of folk for Holborn. Rosto, Kora, Aniki, and Phelan had come from the Court of the Rogue. Even Rosto had learned to like Holborn this last year, for all that he was green jealous that Holborn was my betrothed. Kora and Aniki wept for me. My eyes were as dry as the ground of the boneyard. Everyone believed I'd wept so hard I had no tears left. Holborn's family came. The men left my shoulders damp with tears, my belly filled with razors of guilt because I had none to shed with them. They told me how sorrowed they were that I'd never become their daughter, their sister. They also tried to keep his mother back. Only when they turned to go did she break from them to come at me. I saw her slap coming, but I did naught to stop it. Only when she went for a second blow did I grab her wrist. "You cold, Cesspit trull!" she screamed. "My poor lad was forever trying to impress you. He wouldn't be here if he hadn't been trying to prove himself as good as you, and you led him to his death!" My partner, Tunstall, took her and gently put her in the hands of her men. "He made a mistake, mistress," he said gently in his hillman's rumble. "Beka had naught to do with it." "She was there," Holborn's mother cried. "She was not." My sergeant, Goodwin, had come over. "Had she been there, she would have stopped him from running into a nest of slave guards all on his own. Your son got himself killed." The men of the family were all Dogs and knew that Tunstall and Goodwin were right. "Forgive her," Holborn's father whispered in my ear while his sons drew their mother out of the boneyard. "It is her grief talking." He looked shamefaced as he followed his family. Other Dogs were present, to stand for Holborn and for me. Holborn was a leather badge, a five-­year Dog who'd transferred to Jane Street last year. His old friends and partner from Flash District attended, as well as the Jane Street folk. Goodwin, her man, Tunstall, and his lady, Sabine, were there, as well as my Jane Street friends. Standing with the cityfolk were my brothers, sisters, grandmother, as well as my merchant friend Tansy and her family. Beside them was my foster family from the days when I had lived at Provost's House. My informants among the city's pigeons attended, to my surprise. None landed on the grave. Holborn's ghost wasn't riding among them, waiting to say farewell to me. Many a soul that's been murdered rode a pigeon until he, or she, could settle old business, but not Holborn. In his last hours he'd only given my hand one more squeeze before he left me for the Peaceful Realms of the Black God of Death. I listened to the folk murmur to each other as they waited for the priest and Lord Gershom to arrive. One mot was telling those around her that Holborn had saved her oldest lad when a game of dice went bad. The Dogs from his old district shared the tale that Holborn was known to jump on tables and stand on his hands when he'd had one cup too many. A dancer whose full purse he'd saved from rushers was there. It was she who set a cube of incense by the headstone. TAMORA PIERCE is the #1 New York Times bestselling author of over eighteen novels set in the fantasy realm of Tortall. She first captured the imagination of readers with her debut novel, Alanna: The First Adventure. Since then, her bestselling and award-winning titles have pushed the boundaries of fantasy and young adult novels to introduce readers to a rich world populated by strong, believable heroines. Her books have been translated into many languages, and some are available on audio from Listening Library and Full Cast Audio. In 2013, she won the Margaret A. Edwards Award for her "significant and lasting contribution to young adult literature." Pierce lives in Syracuse, New York, with her husband, Tim, and their cats, birds, and occasional rescued wildlife. Visit her at TamoraPierce.com and follow her on Twitter at @TamoraPierce.